ECE Professors Weng Cho Chew and Thomas J. Overbye have been elected to membership in the National Academy of Engineering. Chew was recognized for his contributions to large-scale computational electromagnetics of complex structures. Overbye was recognized for his work on visualization and analysis tools for power systems. 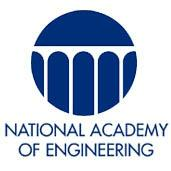 ECE Professors Weng Cho Chew and Thomas J Overbye have been elected to membership in the National Academy of Engineering. Chew and Overbye are among 69 new members and 11 foreign associates announced by the academy on February 7. Election to the NAE is one of the highest professional honors an engineer can garner. The 2,250 members and 211 foreign associates are an elite group distinguished by their outstanding contributions to the fields of technology and engineering. Chew was cited for his contributions to large-scale computational electromagnetics of complex structures. He is an expert in the field of electromagnetic scattering – the way that light, radio waves, and microwaves and their energy diffuse as they pass through or reflect off a medium. While some scattering data can be useful, such as with radar, remote sensing, or X-rays, some scattering causes interference to signals, as in a computer chip. Chew works to develop fast and efficient computational algorithms to address scattering problems at different length scales. Chew earned his PhD in electrical engineering at the Massachusetts Institute of Technology in 1980. He joined the faculty at Illinois in 1985. He is a fellow of the Institute of Physics, the Optical Society of America, IEEE, and the Electromagnetic Academy. He also is affiliated with the Department of Computer Science. Overbye, the Fox Family Professor in Electrical and Computer Engineering, was cited for his work on visualization and analysis tools for power systems. His research focuses on the infrastructure of the power grid, including visualizing power system information, optimizing power distribution, integrating renewable energy sources such as wind and solar into the power grid, and power grid cybersecurity. Overbye developed the PowerWorld Simulator, an innovative computer program for power system analysis and visualization. Overbye earned his bachelor’s, master’s, and doctoral degrees in electrical engineering at the University of Wisconsin-Madison before joining the faculty at Illinois in 1991. He was a member of the U.S. Department of Energy’s investigation team for the August 14, 2003, blackout. Overbye also is affiliated with the Information Trust Institute.